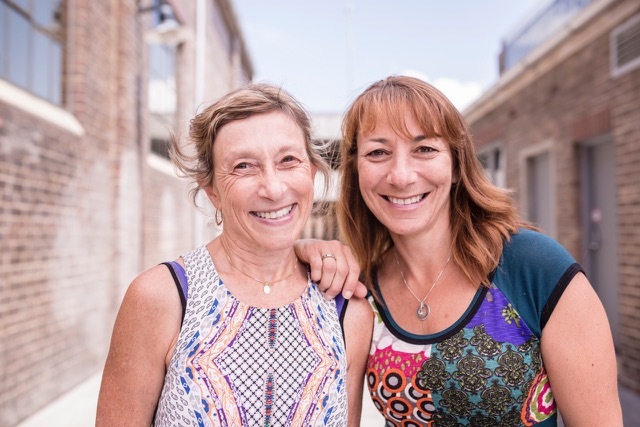 Aside from the fact that we can tell you how amazing Ruth and Carole are as people, we can also tell you how wonderful the Kids Giving Back programs are. We have had the pleasure and privilege to participate in several Cook4Good programs as well as working with them at the beginning of the year on the #MumsGroupTogether project which bought, packed and delivered 150 backpacks filled with school supplies to children of domestic violence living in shelters. (GT): Tell me a bit about the Kids Giving Back: What inspired you to start it? How does it work? How long has the charity been operating? (KGB): We started Kids Giving Back four years ago when we wanted to find volunteering opportunities for our own children and nothing existed. Necessity being the mother of invention, we decided to start our own organisation, we realised if this was something we wanted for our children, there were sure to be lots of parents who wanted the same for their kids, and we weren’t wrong. And so began the adventure, our vision was to create a better, more accepting society, based on empathy and understanding, one child at a time. That’s why we provide hands-on, age appropriate, meaningful volunteering opportunities for young people ages 6 – 18. By giving this opportunity to young people, we hope to create the next generation of generosity. We also feel that our work has a double impact – it benefits the volunteer because they experience the joy and wellness benefits of giving back, and it benefits the communities who are assisted by the volunteers. (GT) Both Ali and I have participated in your Cook4Good programs with our kids. Can you give our readers an overview? (KGB) Cook4Good involves up to 55 kids (aged between 8-18) and parents coming to a community kitchen (Our Big Kitchen) to cook hundreds of meals. These are then deliver to individuals in need of a warm meal, as well as shelters and community centres for the homeless community. There is always a connection with the recipient community when you participate in a Kids Giving Back program, we ensure that all our programs are hands on, age appropriate and meaningful. In addition to community Cook4Good programs that we run on Sundays, we also run these programs through the week for schools. Anyone can call us to organise a Cook4Good program for their school, community group or friends. Over 6,000 kids have made and delivered over 24,000 meals. (GT) Since you’ve been operating, how many kids have participated in programs? (KGB) Not everything we offer is about cooking, we also work with other communities such as asylum seekers/refugees, animal welfare, sorting clothes that go out to those who need them most, and more. New opportunities open up everyday and parents and kids will be able to find a volunteering opportunity that suits them. If you Like us on Facebook, you will see that this is our Hub, where we post all opportunities. (GT) How do you measure the kids satisfaction level with the program? Do you think it’s changed their lives? (KGB) The kids satisfaction level is evident when you watch their involvement – they become blissfully engaged in the work they are doing, with not a mobile phone or other device in sight. We believe that when kids volunteer it changes lives, including their own. For kids who are lacking in confidence and not sure of their place in the world – they understand that they do have a lot to give back and they are valued members of our community. 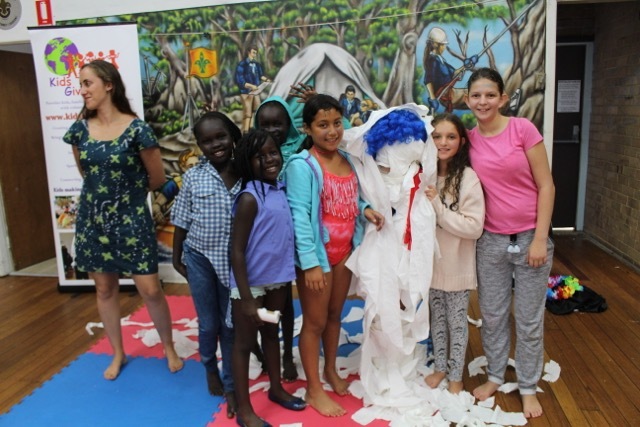 For kids who are filled with a sense of their own self importance, volunteering enables them to understand that they are part of the bigger picture, and that we all take our turn at doing it tough at some stage in our lives. For these kids volunteering turns ‘me’ into ‘we’, as they come to experience humility and empathy, and the joy of giving to others. We have kids who first started volunteering with us when they were 12 years old, and they are now 16 and still responding to our volunteering opportunities. I know I mentioned it before, but it is an important point: Everything we do has a double impact: it impacts the community that is benefitting from the volunteers, and impacts the kids themselves. (GT) As a charity, how do you fund all these wonderful initiatives? (KGB) The fee we charge for programs covers our expenses, but in order to grow, we need to get out in the community and raise additional funds. We want to be able to involve more youth in volunteering, and to give them more opportunities to assist. 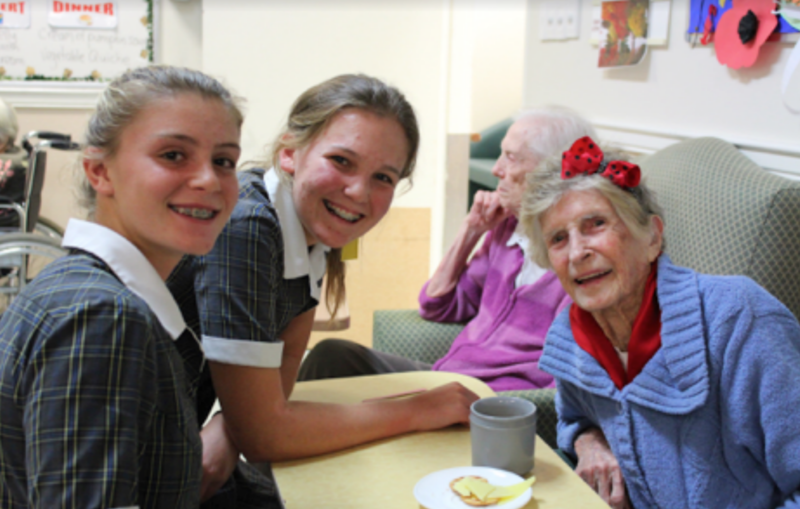 We charge a fee for Cook4Good and Scones4Good (our intergenerational program that breaks the isolation of the elderly and enables young people to interact with the elderly.) But we also offer, free of charge, volunteering opportunities on behalf of our many charity partners. We post these on our Facebook page, and anyone can respond to these opportunities. Since our mission is to create the next generation of generosity, we are happy to act as advocates for youth volunteering and the more opportunities we are able to offer young people to volunteer and connect with community, the closer we come to fulfilling our mission. One example – each year a division of Special Olympics calls us to put out a request for volunteers to help with their annual swim meet. It’s one of our favourite opportunities, and hands shoot up fast. (GT) What’s the most challenging issue that’s come up? (KGB) Most challenging is growing a small organisation and working around the clock to respond to the huge needs in our community. It’s largely a matter of funding. When we have the right people in place we can continue to grow the volunteering opportunities we offer young people across Sydney. Currently, we now have one part time staff member, the wonderful Nadine who is our Program Coordinator, and are excited to be hiring a Program Manager, but would love to get the funding to hire a few more staff members. (GT) What has been the most surprising part of your journey? (KGB) Probably the most welcome surprise is, how so many people are helping us along the journey through pro bono support and our own adult Angel volunteers, as well as our incredible very hands-on Board of Directors. (GT) What’s the next step for Kids Giving Back? (KGB) The next step for Kids Giving Back is to work with even more schools, families and communities, to raise the funds that will enable us to do this, and to continue to create the next generation of generosity. Fantastic catching up and best of luck in the coming months. For those who would like to learn more about Kids Giving Back, you can contact Ruth and Carole via Facebook or sign up to their Mailing List.